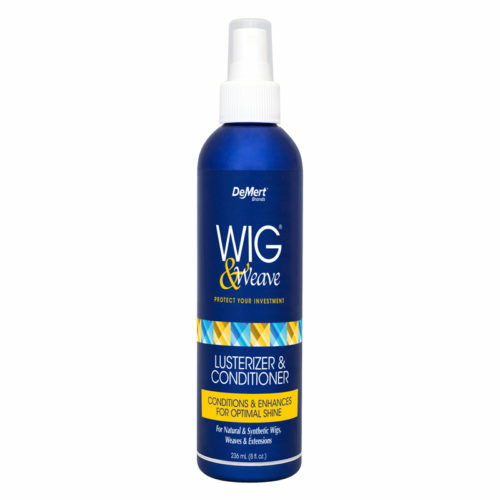 Lusterizer & Conditioner is a professional, crystal clear formula for superior conditioning and protection. 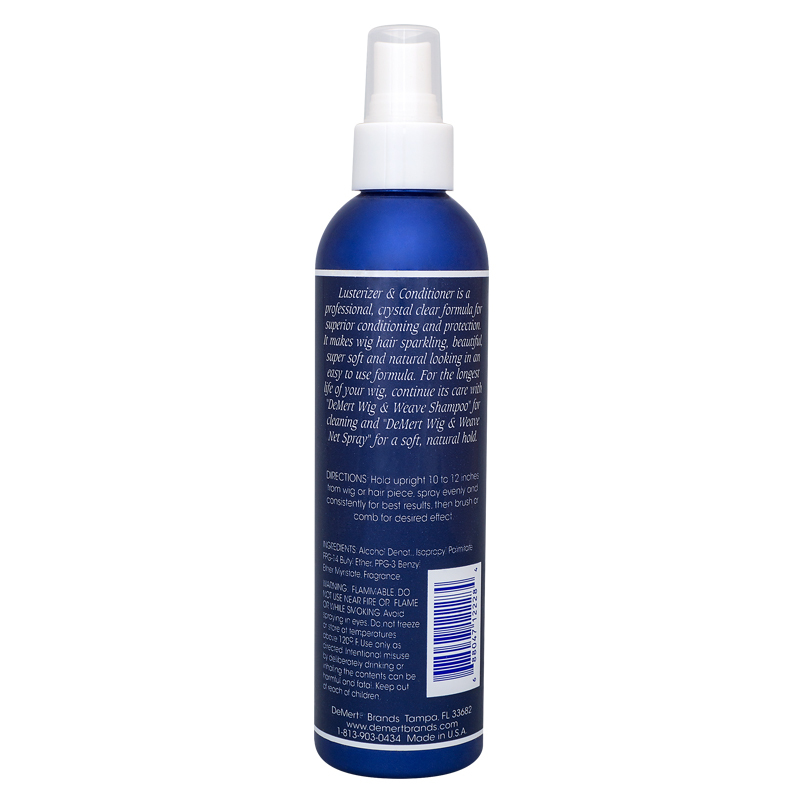 It makes wig hair sparkling, beautiful, super soft and natural looking in an easy to use formula. 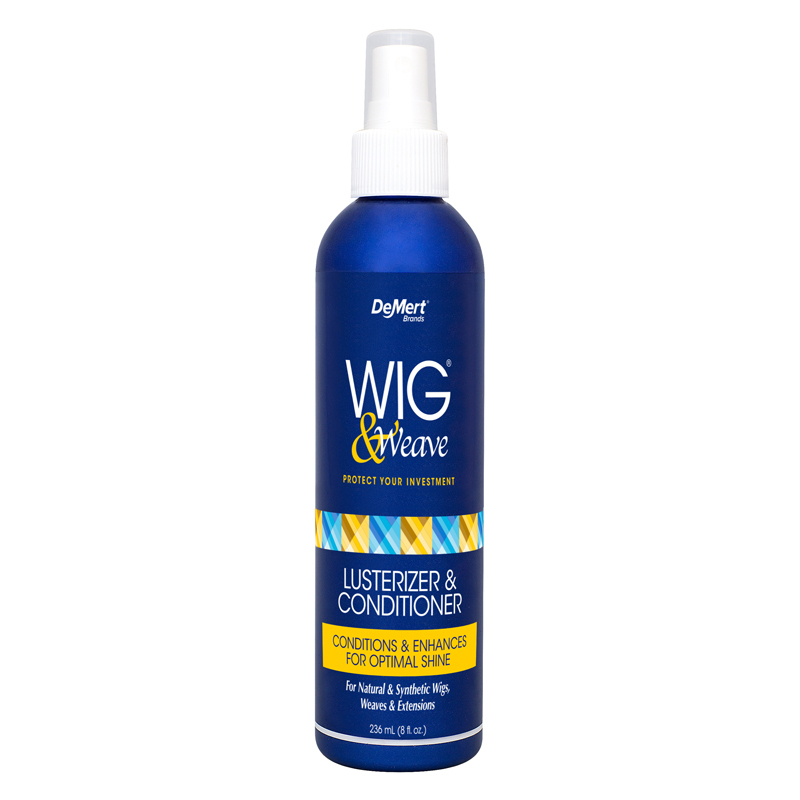 For the longest life of your wig, continue its care with “DeMert Wig & Weave Shampoo” for cleaning and “DeMert Wig & Weave Net Spray” for a soft, natural hold. Warning: Flammable. Do not use near fire or flame or while smoking. Avoid spraying in eyes. Do not freeze or store at temperatures above 120°F. Use only as directed. Intentional misuse by deliberately drinking or inhaling the contents can be harmful or fatal. Keep out of reach of children.